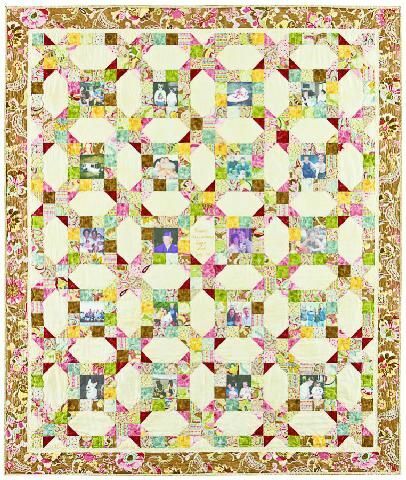 Combine photographs, 2 1/2" strips, and light fabric to create a memory quilt with room to write. Great anniversary, wedding or graduation gift. Bring a fabric pen so all the guest can sign their well wishes right on the quilt top. Options for 4 to 20 photographs. Another option is to use the open (cream) spaces for additional photographs.